With land battles, naval action, cunning assassinations, and heartbreak aplenty—not to mention the ongoing conflict between Lord of the Dead and Benito for the love of a woman, civilization is at the crossroads and choices must be made that will bring victory and freedom for centuries to come—or a new Dark Age. 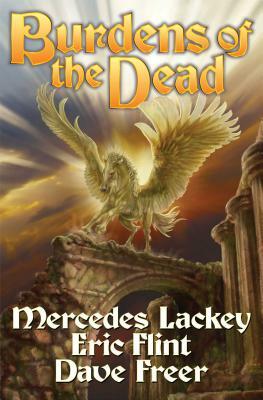 Mercedes Lackey is the New York Times best-selling author of the Bardic Voices series and the Serrated Edge series (both Baen), the Heralds of Valdemar series, and many more. Among her popular Baen titles are The Fire Rose, The Lark and the Wren, and The Shadow of the Lion (with Eric Flint and Dave Freer). She also helms the writing crew of The Secret World Chronicle, a saga of superheroes based on an on-line game, with latest entry Revolution. Lackey lives in Oklahoma. Eric Flint is a modern master of alternate history fiction, with over three million books in print. He’s the author/creator of the New York Times best-selling Ring of Fire series. With David Drake he has written six popular novels in the “Belisarius” alternate Roman history series, and with David Weber collaborated on 1633 and 1634: The Baltic War. Flint was for many years a labor union activist. He lives near Chicago, Illinois. Dave Freer is an ichthyologist turned author who lives on Flinders Island (between mainland Australia and Tasmania) with his wife, four dogs and four cats, and two sons. He has coauthored a range of novels with Eric Flint (Rats, Bats and Vats, The Rats, the Bats and the Ugly, Pyramid Scheme, and Pyramid Power), with Mercedes Lackey and Eric Flint (The Shadow of the Lion, This Rough Magic, The Wizard of Karres, Much Fall of Blood and Freer’s solo entry in the series, A Mankind Witch) as well as writing the Dragon’s Ring fantasy novels Dragon’s Ring and Dog and Dragon.